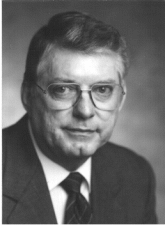 James L. Dunn, Sr. is the co-founder, first administrator and inspirational leader of DDR Dental Trust. He and a group of dentists formed the Dental Trust back in 1974. The members of the Dental Trust, and their spouses, have repeatedly expressed their gratitude for Mr. Dunn’s vision and passion. He has been a long-time advocate for dentists helping dentists and has played a key role in dentistry in Texas for over 35 years. James Dunn, Sr. retired as administrator of the Dental Trust in 2009.